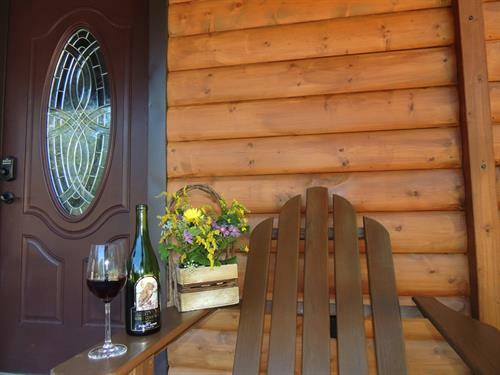 Cayuga Lake Cabins is open year-round, 7 days a week. Check-in time 4pm; check out 11am. 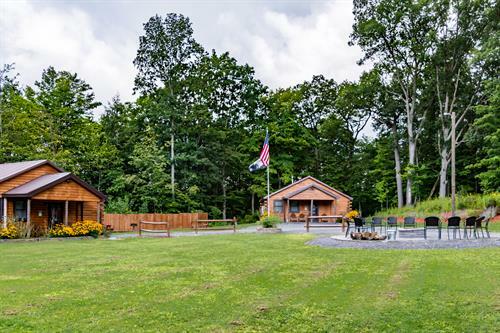 Two newly built log cabin vacation rental homes located in the heart of the Finger Lakes, on the Cayuga Wine trail (America’s first wine trail), west side Cayuga Lake. 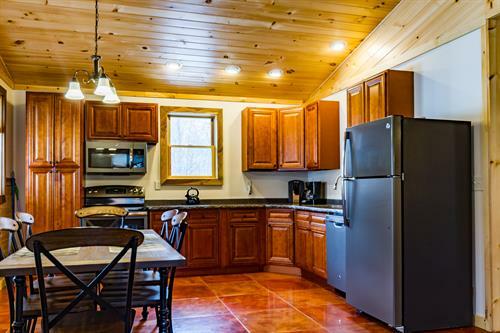 The modern, well-appointed cabins feature fully-equipped kitchen & dining room, living room with satellite TV, DVD, movies, & wi-fi. 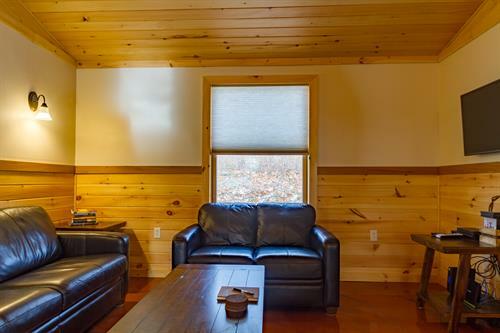 Open year-round & dog friendly. 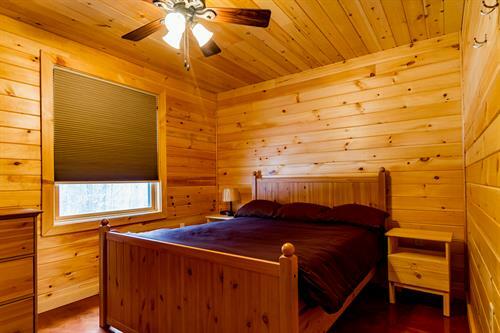 Each cabin sleeps 6 in 2 queen bedrooms and queen sofa sleeper. 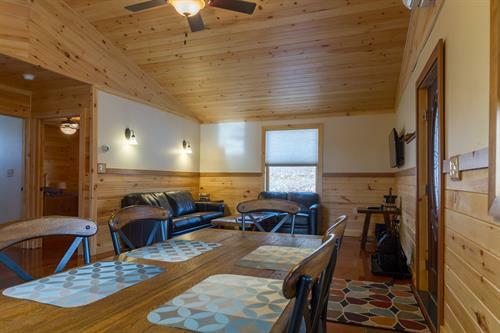 AC, ceiling fans & radiant floor heat. Bathroom with shower. 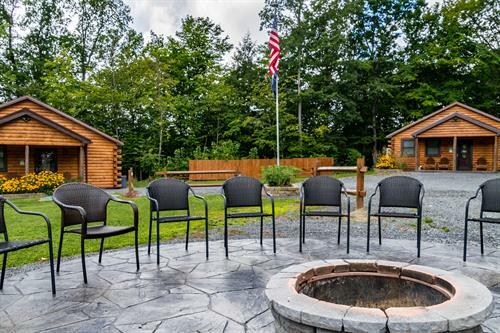 Large outdoor fire pit, picnic table & BBQ grill. We supply bed & bath linens and basic supplies. 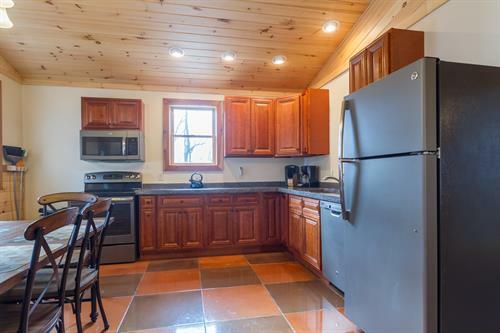 Cayuga Lake access available via owner’s property with a walking path and steps to the lake. Hike to waterfalls & swim at Taughannock Falls, Robert Treman, Buttermilk Falls State Parks and more. 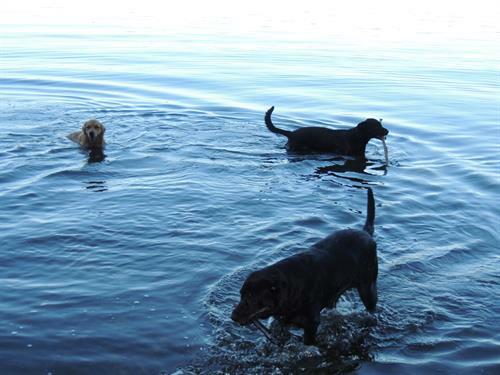 5 minute drive to Deans Cove boat launch. Visit the famed white deer at the Seneca Army Depot. 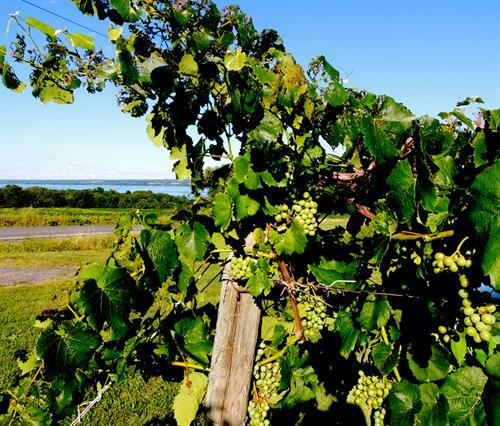 Sample local craft beer, fine Finger Lake wines, hard cider and cheese tasting. Explore museums, shopping, experience live theater & music, great restaurants. Visit the exciting new del Lago Casino. 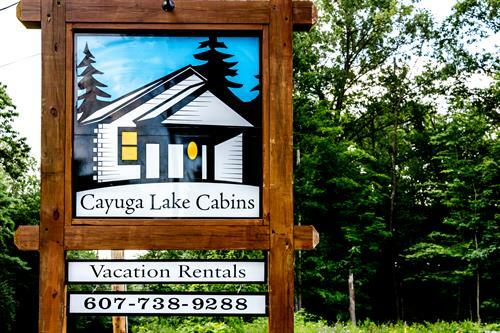 Jim and Cheryl Santos, owners of Cayuga Lake Cabins, moved to Cayuga Lake in 2002. We chose the area for its natural beauty, unrivaled views, the tranquility of country living paired with a wide variety of things to see & do. We built Cayuga Lake Cabins so we could share this unique area with others. 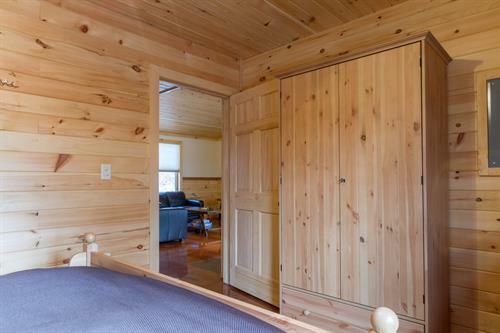 We take pride in providing clean, comfortable & well-appointed lodging. It is important to us that you have a great experience. 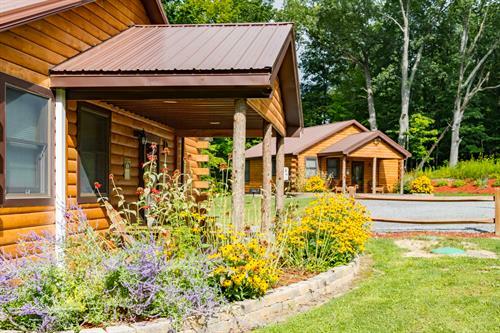 We live directly across the street from the cabins and are available to assist our guests at any time. Address: 6473 State Rte 89, Ovid, NY 14521. 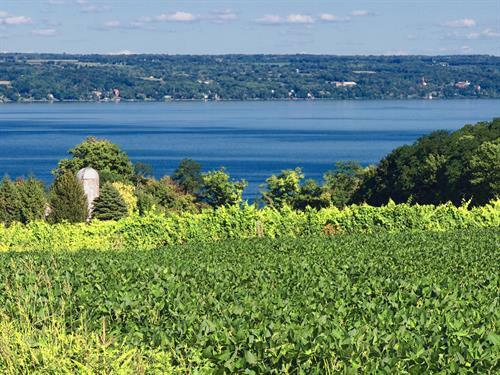 From south: 23 miles north of Ithaca city limits. From north: Exit 41 from NYS Thruway, Rt 414 S., Rt. 318 S., left onto Rt 5 & 20, right onto Rt. 89.